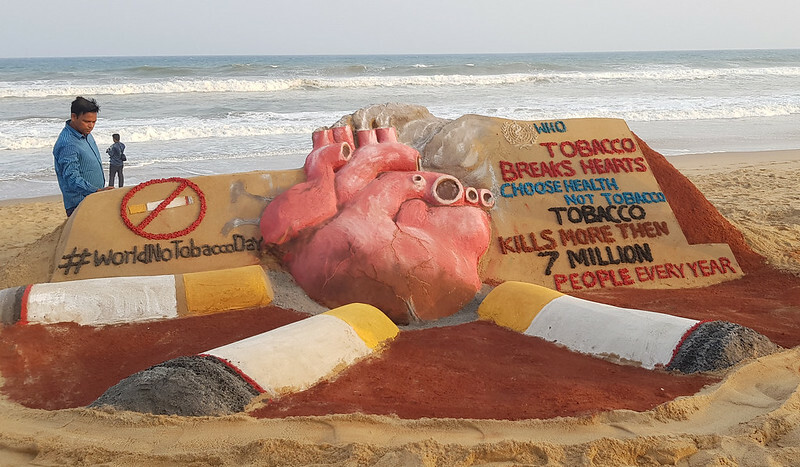 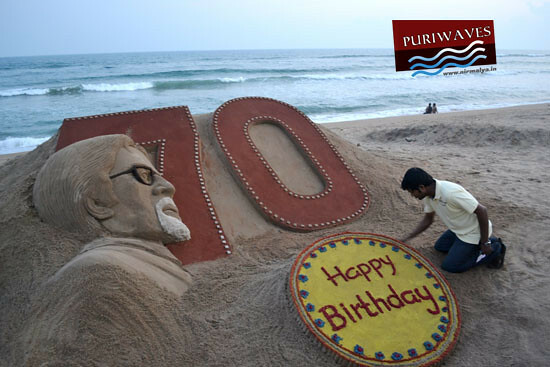 Sand artist Sudarsan Pattnaik celebrate his birth day in his unique way by creating a 7 ft sand sculpture where he also created a sandy birth day cake of 70 kg with message “Happy Birthday” He used 5tons of sand and took 4 hours to complete this sculpture with his students of his sand art institute. 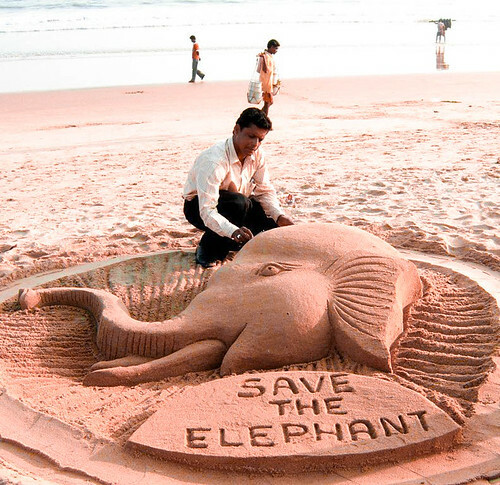 He also used colour sands to create this live image. 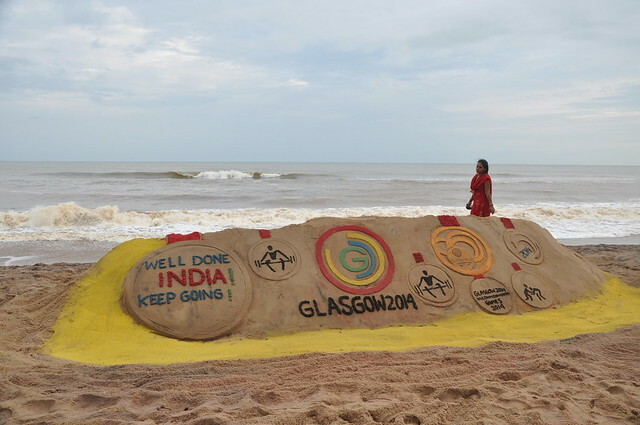 Lots of tourists and local people gathered there to celebrate this moment at Puri beach.